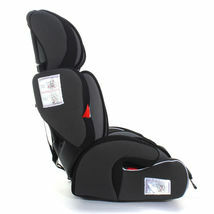 Black Toddler Baby Car Seat Kid Children Convertible Safety Booster Seat 1. 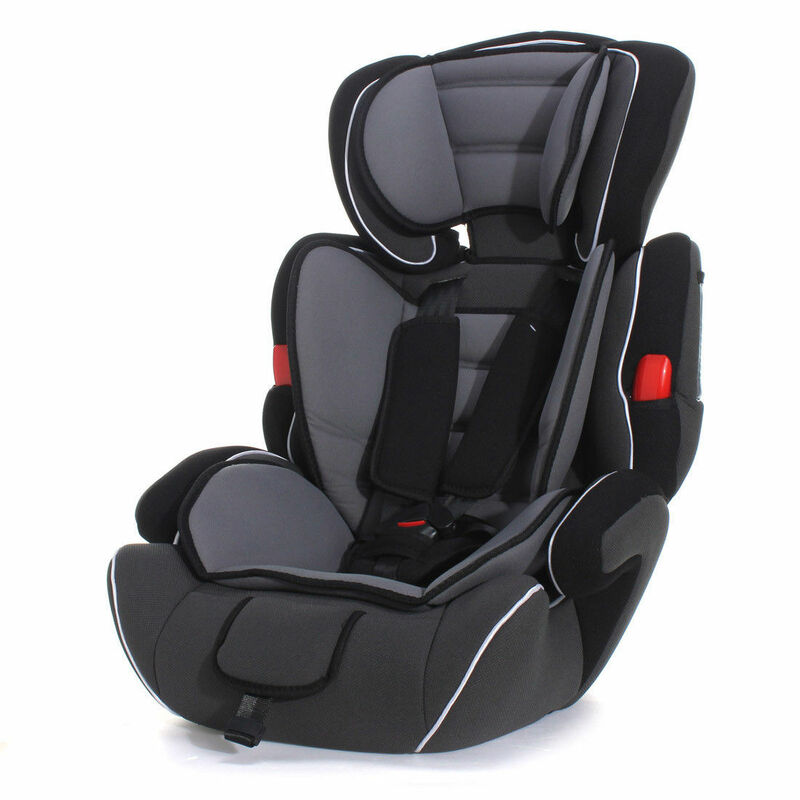 The Convertible Car Seat totally compliant with European ECE R44/04 safety standards. 2. 5-point harness, multi-adjustable headrest positions3. 3. 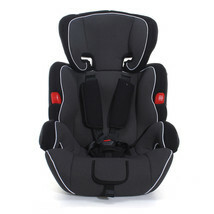 Standard crash test, spacious backrest and base for comfortable sitting. 4. 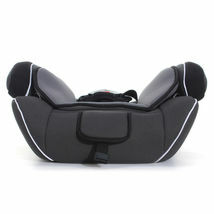 Easy to convert to be backless booster, EPE foam in the backrest and base to provide comfortable sitting. 5. Multi-adjustable headrest positions, comfortable, breathable fabric material, more at ease. Specifications: Material HDPE, Polyester Color Black Dimensions 47(L)x51(W)x68(H) cm Package Weight Around 5.3 kg Note: This Convertible Car seat is designed for children from 9kg to 36kg(from 9 months to 12 years of age),and used for groups 1,2,3 in car. It has 3 modes for using: 1. 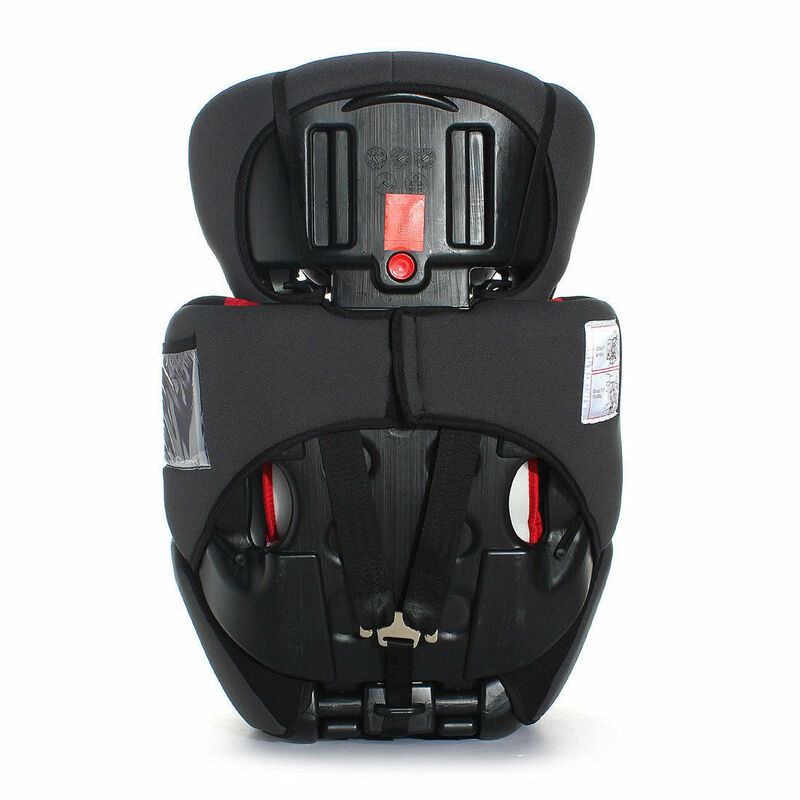 Baby weight vary from 9 kg to 14 kg,using the integral5-point safty harness fifted. 2. 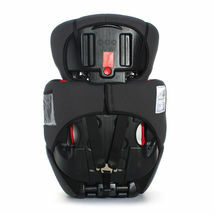 From 15 kg above,removing the harness to use as a high back booster. 3. 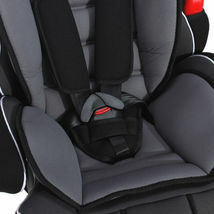 For an older child,removing the backrest to convert to a booster seat. Package Included: 1 X Black Baby Car Seat Shipping We have warehouses and certified suppliers from all over the world for the item We usually take 2 business days to ship this item after received payment. Free Standard shipping and Usually takes 3-5 business days for the delivery. Shipping is within the continental 48 U.S. States only No international shipping No shipping to Alaska, Hawaii, Puerto Rico, Guam, or the Virgin Islands No shipping to Canada or Mexico No shipping to APO and PO Box addresses and there is no local pickups. Payment Final Price No TAX. We accept ONLY PayPal for payment. It is the only online payment method we accept. All payments should be received within 7 working days . Non-paying will be reported to. If you can?t pay in time, Please contact us. Returns Refund 100% Satisfaction Guarantee If you are not satisfied with the product you purchased for any reason. Please contact us for a return instruction within 30 days for a refund. Shipping Handling costs are not refundable. Return shipping cost will be paid by buyer. Note: Customers satisfaction is very important to us. Please email us before leaving any Negative and Neutral feedback or open any dispute on PayPal. Otherwise it will hurt both of us. Please give us the opportunity to resolve any problem. We understand the concerns and frustrations you might have and will try our best to resolve the issues. Please contact us by message only!